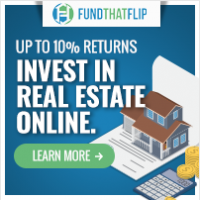 Over the last few years, I’ve been asked many times for recommendations for the best real estate crowdfunding websites. It was difficult to make a recommendation because they were all so new, I had not invested with very many of them, and there was not a lot of data to use to analyze them. However, over the last 5-6 years since the JOBS act passed and these companies showed up on the marketplace, especially as I’ve watched my own investments perform, it has become a little easier to sort out the stronger ones from the weaker ones and I now feel comfortable making at least some preliminary recommendations about the top real estate crowdfunding companies. Before we get into the list, it’s important that you first understand the pluses and minuses of using a crowdfunding website/company to invest in real estate. These sites basically offer three different types of real estate investments – equity, debt, and private REITs or funds, each with their own pluses and minuses. There are also instances where preferred equity (kind of a combination of equity and debt) is offered. Okay, let’s discuss the companies that I think are worth considering for your investment dollars. Note that I’m not going to discuss individual funds in this post (coming soon) nor individual syndicators. Be aware I have a financial relationship with each of these companies – i.e. if you invest after going through these links, I may get paid. 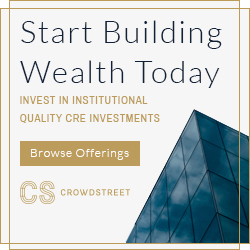 Although it hasn’t been around as long as RealtyShares, Crowdstreet is now the highest volume provider and is highly-ranked by those “in the know.” They offer a wide variety of types of investments. Unlike RealtyShares, it charges fees to the sponsor/syndicator rather than the investor. It also allows you to interact directly with the sponsor rather than having to go through the crowdfunder. 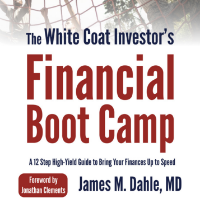 They provide a free 176-page ebook to teach you about real estate investing. Minimums tend to be significantly higher than with most companies. On the day I wrote this, there were nine equity offerings, with minimums of $25-50K and eight funds (including a debt fund) with $10-50K minimums. I have no current or prior investments with CrowdStreet. Offers mostly equity, some debt investments, and funds to ACCREDITED INVESTORS ONLY. Like RealtyShares and Crowdstreet, RealCrowd is a relatively high volume provider. They don’t do debt deals, at least not very frequently, but like Crowdstreet they don’t charge you platform fees (the sponsors pay advertising fees) and allow you to interact with the syndicator a lot more directly. 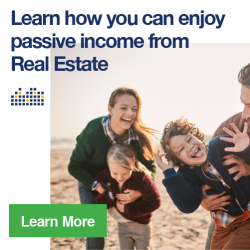 They also offer RealCrowd University, a free six-week course on real estate investing that will teach you everything from focusing on risk first to what questions to ask real estate sponsors. On the day I wrote this, there were three available equity investments on the site, with $25-50K minimums, plus five funds with $25-100K minimums. I have no current or prior investments with RealCrowd. 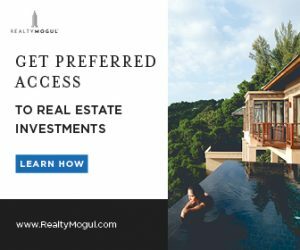 I have been partnering with RealtyMogul for years, having met their CEO back in 2013, and have been investing with them for nearly as long. At one point they had pretty good volume for accredited investor investments, but seem to have shifted their focus toward the non-accredited market. Platform fees are average to slightly higher than average. Minimums can be a little on the high side for the individual deals (but are very low for the REITs). On the day I wrote this, there was one equity investment being offered ($30K minimum), along with their two MogulREITs ($1,000 minimum.) There were six more deals open to pledging, with $25-35K minimums. My favorite two things about Equity Multiple are their transparency and the fact that they invest alongside their investors on every deal. Since they have skin in the game, I expect them to be a little more conservative with their due diligence. Their volume is not as high as the three sites above, however. Minimums are typically only $5-10K though. On the day I wrote this, there were no investments available on the platform. 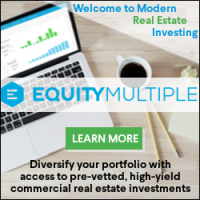 I have one current investment with EquityMultiple, performing as expected. 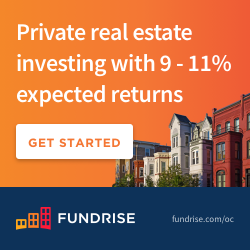 Fundrise has completely transitioned over to a REIT/fund structure offered to non-accredited investors, although the one investment I’ve had with them was prior to this transition (and in fact, the asset was sold to one of the REITs!). 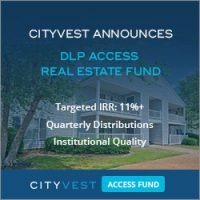 They now have seven REITs/Funds with various focuses, including income, growth, and various geographic areas. Minimums are the lowest I’ve seen, just $500. I have one past investment (preferred equity) through Fundrise, which performed exactly as expected. Marketplace for buying and selling single-family rental homes, enabling investors to acquire income-producing real estate in 40 markets across the country. 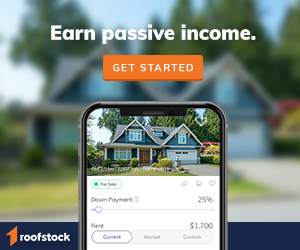 Roofstock is a great solution for owners who want the benefits of direct ownership and want to have more control over their investment – you are buying the home directly and own it outright, with traditional home loan financing options available for most investors. Their team is available to guide you through the entire process from exploring the marketplace all the way through closing, and they also provide a 30-day money-back guarantee on every home. 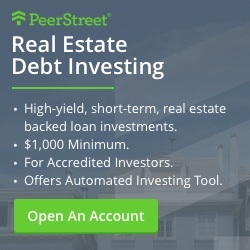 PeerStreet is perhaps the top-ranked site out there today, particularly for debt investments. 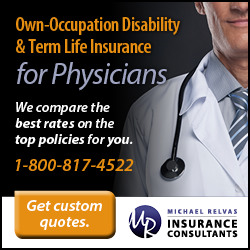 They offer excellent transparency (every past deal is displayed), low default rates (1%), and low minimums ($1,000.) It has never actually lost investor principal on any of its loans. Volume is pretty good too. It charges a pretty typical 1% fee. 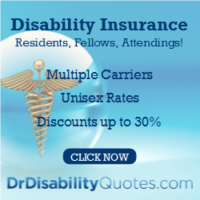 They also offer a 1% bump in yield to WCIers if you invest through this link. On the day I wrote this, there were 10 available investments with $1,000 minimums, offering yields of 6.5-8%. I have had and currently hold dozens of PeerStreet investments, although purchased indirectly. Invest with PeerStreet today and get a 1% bump in yield! Other companies worth a mention include Fund That Flip, 1031 Crowdfunding, Carlton Crowdfund, Sharestates, and Zeus Crowdfunding. What do you think? Have you invested in crowdfunded real estate? 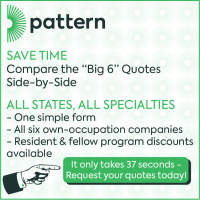 Which companies have you used? What did you like or dislike about them? Comment below! A helpful list to be sure. I appreciate you gathering all of this and letting those of us who haven’t taken the leap get a peak inside real estate crowdfunding. 1) I know 20% of your portfolio is in real estate. What percentage of your real estate investments are now inside crowdfunding as opposed to REITs, owning property, etc? 2) How much correlation do you feel that there is compared to the stock market? 3) How volatile do you view equity investments? How often do these deals go sideways and you lose your money? Of that real estate, 5% in Vanguard REIT index, 10% in equity deals/funds and websites and 5% in debt deals/funds. I wouldn’t say I own ANY property directly since our accidental rental property was sold. Honestly, really don’t enjoy it. Maybe if I wasn’t pouring so much time/effort into the website I’d be more interested in direct ownership. 2. Hard to know exactly since it isn’t marked to market each day. Fair correlation with REITs since they’re traded on the market. I’d expect low correlation with private funds/deals, probably not zero though. 3. Hard to know since they’re not marked to market. With one, it’s only valued once a year so it doesn’t seem very volatile at all. With most of the rest, they’re not valued for 5-7 years until they’re sold. How often do they go sideways? Hard to know. With a good syndicator, it seems that with equity deals that 1/3 of the time they beat their proforma, 1/3 they more or less get it, and 1/3 they underperform it but are usually still positive. I think actually losing money over 5-7 years is pretty rare. With debt deals, a good fund may only have a 1-2% default rate. I think AlphaFlow, which mostly buys debt deals from crowdfunding sites, it’s about 3%. Thanks for answering those questions in depth. Helpful for those of us thinking about giving in at some point. I need to diversify with real estate, and this sounds like the route I’ll likely go. I have invested in RealtyShares for 3 different offerings (all debt) and have had no issue with receiving the interest and principal back as promised. The hold periods for this type of offering were 1 yr and one property did ask for a 6 month extension. 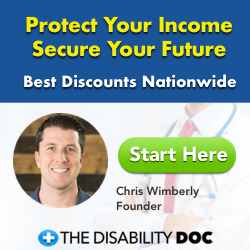 Since I have turned to private syndication I have not really looked to invest further money into this space but do think it is a good option for a non accredited investor. Which syndicators have you had success with. I have only dealt with one syndicator which is 37th parallel and have had great experience with them. 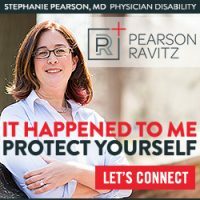 I was actually introduced to them via the white coat blog when a former ER doc Dennis Bethel wrote several inspiring posts. I actually interviewed him on my blog and he did a great review of crowdfunding versus syndication and provided a lot of high yield links if you are thinking about this type of investment. Thanks for this review. I have invested in all kinds of real estate, but not of the crowdsource variety. People ask me for advice on these so this helps me. I met some of the PeerStreet folks and I was very impressed. I would like to see which of these and others still thrive when a market downturn tests them. 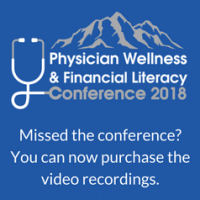 Most physicians will be qualified investors but it is good to have other options for those who don’t quite qualify yet or who are residents and want to dabble in real estate investing. I agree that ten years from now it’ll be much easier to tell the winners from the losers in the crowdfunding space. I do think there will be winners though. I have had Realtyshares and realtymogul investments and have had issues with their equity investments. Can’t recommend either. Both disintermediate investor from sponsor and neither has done a very good job on oversight on behalf of their investors from my investments with them. 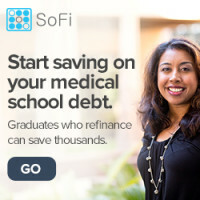 Your experience primarily in debt may have been better because it is shorter term and less risky. There is a TON of garbage out there in syndicated real estate investments (not attributing this to rs or rm). 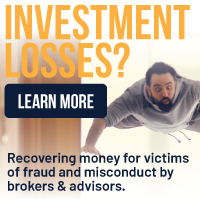 Investor beware and DO YOUR OWN DUE DILIGENCE. Thanks for sharing your experience. I agree it’s a caveat emptor kind of market. Thanks for this information! I was hoping you could speak a little more to the fees related to these investments. Looking over your other posts, fees of 1% would tend to be an easy decision not to invest in or with, such as 1% expense ratio for a mutual fund or 1% AUM for a financial advisor. Still trying to understand, appreciate your help! The fees are a little different so you can’t really look at them the same way. With something like AlphaFlow, it’s exactly the same as an advisor fee, I mean, technically that’s what they are is an RIA. With a crowdfunded company, it’s somewhat similar in that it’s an additional layer of fees you don’t have to pay if you don’t want their due diligence and low minimums and are willing to go directly to a syndicator. With the syndicator itself, it’s kind of part of the business expenses, like Apple’s business expenses. Those aren’t include in the expense ratio of Total Stock Market Index Fund. But you’re not going to get a syndicator to do this for 0.04%. So you either pay the 1%+, or you don’t play. You have to decide if you’re okay with that and in the case of a company like AlphaFlow or one of these crowdfunding sites, you have to decide if the value is worth the price. What would be your recommendation for those of us that want to put in ZERO due diligence, ideally have new investments selected on autopilot and have a preference for debt deals and tax filing simplification? PeerStreet, AlphaFlow, a realestate fund? 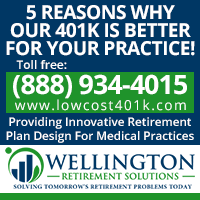 Is it worth it (hastle and fees) to invest in an IRA. It looks like most of these companies make you use their partnered IRA which all have some fees. If that is the case, I’d go with either a private fund or if you’d rather avoid it all, just the Vanguard REIT index fund. Or really you can avoid real estate completely if you want. I’m using AlphaFlow, Broadmark, and Arixa right now for debt. It’s a ton more diversified than picking loans from crowdfunding sites, but there is an additional layer of fees. I haven’t done real estate in an IRA yet (although I had some peer to peer loans in a Roth IRA), but obviously debt investments are very tax inefficient, so it can make sense. But it does add fees and hassle in exchange for better tax treatment. I second Dr. Dahle’s comments. If you don’t want to do any due diligence, then you might consider either (1) not investing or (2) choosing something like VNQ (Vanguard Real Estate ETF [US Only]) or VNQI (Vanguard Real Estate Global [non-US]). But I guess I question, I’d be concerned that you want to do “ZERO due diligence”… I mean, everything requires a level of due diligence. Even an ETF — what’s their expense ratio? What markets are they following? I’d be careful adopting that attitude too aggressively. I have looked into this space but decided that Vanguard REIT is enough for me for the cons you mentioned: diversification, risk, fees… However, I can see how you can potentially get higher yield with crowd funding. Perhaps I’ve just been unlucky, but I haven’t had a great experience with RealtyShares. I chose to invest across three deals. One was a debt deal (an acquisition loan on a small multi-family property), one is an equity deal on an apartment building and the third one is an equity deal on a shopping center (I believe WCI is also part of this investment as it is located in Utah and he has referenced it before in other posts). Debt Deal #1: The interest rate was 9% and the duration of the loan was supposed to be 12 months. The sponsor was consistently late making the monthly interest payments and eventually defaulted on the loan. The property was foreclosed upon by RS and after it was resold (12 months later) I took a 32.77% loss on my initial investment. According to RS, the sponsor had a portfolio of over $5M in residential rentals, had completed over 60 transactions since 2014 and was personally guaranteeing the loan. Equity Deal #1: An apartment building with a 5 year target hold targeting an IRR of 19%. Cashflow was projected at a preferred rate of 10%. The deal closed in November 2016. After it closed RS notified investors the sponsor intended to make the first disbursement “around March 2018.” As of August 2018, no disbursements have been made. There have been a bunch of issues with the property, financial targets have not been met and according to the 2017 K-1 there has been a net loss of 22%. Of course, this is an equity deal, so the return on this investment is unknown until it is exited. On that note the sponsor has indicated they may decide to sell the property in 2018 as opposed to 2021. According to RS, the sponsor operates a value-add multifamily platform and has acquired over 7,000 value-add units, entailing over $400 million in investment. Equity Deal #2: A grocery-anchored shopping center. 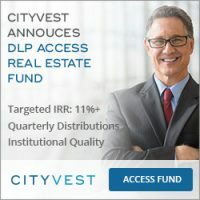 WCI has referenced this investment before as his “Grocery Store,” in his other crowdfunding posts. Basically, the projected return was 6% and it’s been returning about 5.5%. So, no issues here to date. Total return will be calculated when the investment is exited. Of course, going in I understood the risks associated with these types of investments and crowdfunding represents only about 1.5% of my entire portfolio. My issue with RealtyShares is, as Dave pointed out, they don’t seem to do a great job of oversight with their sponsors. Further, it seems like RS has very little control or ability to hold sponsors accountable once the transaction is completed (e.g. a 5 year hold becomes 2 year hold, updates are not given in a timely manner, K-1’s may or may not show up on time). To be fair, these are issues that probably exist to some degree on all crowdfunding sites. However, in my opinion the risk and aggravation is just not worth the reward. It seems like a bit of a crapshoot overall. Again, maybe I’ve just been unlucky, but I do not plan to invest any more money with these crowdfunding platforms. Thanks for sharing your experience. For sure, every deal is unique and every platform is unique, you can’t rely JUST on the crowdfunding to do due diligence, 8% return much less 15%+ returns don’t come without risk, and you shouldn’t invest more than you’re willing to lose. I agree there is an element of crapshoot, but even given that you seem to have gotten particularly crummy results so far. The first one really bothers me, even if you didn’t lose very many actual dollars, that’s a massive loss by percentage for something backed by a property in first lien position. Debt funds seem to have a default rates of 1-3%. Not sure how that compares to RS’s debt foreclosure record. I definitely agree you should not invest more than you are willing to lose. That’s with any investment, but particularly with these types of deals. Luckily, the minimum investment on the debt deal was $2K and I was really just dipping my toe in the water. So, even with the 33% loss it wasn’t very much money. The apartment complex had a significantly higher minimum, so I’m hoping that one works out better in the long run. Just out of curiosity, what kind of due diligence beyond online research do you do with these types of crowdfunded deals? Initially, I assumed that any deal on the platform would be thoroughly vetted by RS and they would be on top of the sponsors throughout the process to hold them accountable. That was my fault for not asking questions and making assumptions, so I learned my lesson the hard way. 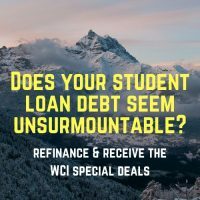 Nonetheless, I appreciate the all the WCI posts on this subject as it is hard to find objective information on these types of investments. I read through the paperwork and Google the principal’s names at a minimum. But I kind of got sick of doing it for each $2-5K I would invest, thus the movement toward funds/individual syndicators. Of course, part of the reason I can do those things is I now have a lot more income to invest than I used to. If I was only investing $10-30K into real estate a year like most docs, I’d probably still be doing the crowdfunded thing because I wouldn’t have the money to make the minimums for funds and going directly to syndicators. Rich B. , thanks for providing your perspective. I have been tentative to dive into the realm of real estate crowdfunding and your situation makes me even more hesitant. Thanks again. Thanks Jim for your above answer. I’m still leaning towards the auto-invest function with PeerStreet. Have you used this? (I’d probably set at 7%+, up to 70% LTV, up to 12 month term). Though I’d be interested in your thoughts on the settings to get the best value and still good quantity, as opinions seem to vary widely. 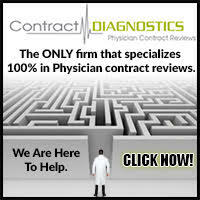 Or do you manually pick each deal after researching? No, I haven’t done that, but it sounds reasonable. I don’t have any individual deals with PeerStreet. I’ve been moving toward funds because I like it EVEN MORE automated than that. There are some additional fees of course. Jim; In a comment above you wrote, “I’m using AlphaFlow, Broadmark, and Arixa right now for debt. 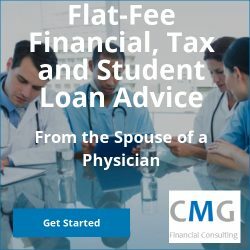 It’s a ton more diversified than picking loans from crowdfunding sites, but there is an additional layer of fees.” However, none of these are listed in “top” recommendations or “other companies worth a mention”. This is a list of top crowdfunded companies. As explained in the posts I’m running twice a year or so, I’m moving away from these toward funds. So I have a mix of funds, individual deals bought directly through the syndicators, and leftover crowdfunded website sourced deals. The post notes the ones I have invested with in the past and am currently invested with, but if you want more details, check out my last real estate update. 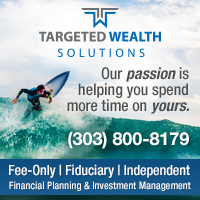 How do you re-invest the monthly/quarterly funds you receive? Put them into a separate REIT? They go in with my investments for that month. Sometimes that means they go into a mutual fund like TSM. Sometimes it means they go back into similar investments. But yes, I use the Vanguard REIT index fund as needed to rebalance the less liquid investments. I have experience with Realty Shares and Peer Street. Both experiences are mixed, and I am phasing out of my investments with RS. I have one debt deal with them that went into default, foreclosure, resale, problems with closing the deal, etc. dragging out for 18 months now with little information flow. I will be happy to get $1500 of my initial $3000 investment back at this point. My other two deals with RS were equity deals (including the SLC shopping center), and both appear to be underperforming the expected returns (in very favorable real estate markets). I also did not like the K-1 filing for these, and there are regularly the last two documents that I am waiting for to file my taxes. With Peer Street, I have had more success, but the more desirable deals are fully subscribed by auto-investors when they are announced (I am hesitant to auto-invest), and I feel like I am mostly picking through the flotsam and jetsam. I have had my money returned on all deals, so far, with one that defaulted, foreclosed, and the property is now owned by Peer Street. We will see how that one works out. At peak, I had $50-55k in various crowdfunding investments between these two sites. I am now down to about $35K and am hesitant to add more or even reinvest into new deals. Just an update. My defaulted RS deal resulted in a $1300 capital loss. I invested $3000 and $1700 was returned to me. I have earned a total of $3400 in interest and cash yields, probably averaging in the 6-8% range for the investments, so this drops me to about 4-6% annually, since early 2016. Remind me, was that a debt or equity deal? The defaulted position was a debt position. I’m not sure why anyone would consider crowdfunding real estate deals when there are so many publicly traded REITs available. The REITs have the big advantages of liquidity (sell instantly, get your money in a couple days), diversification, and long term track records. Plus, many REITs are trading at a discount to book value. In addition, there are various types of REITs to choose from: residential, commercial, medical buildings, senior housing, etc. I invested more than 30 projects with RS over last 3 years. The results were mixed. Some Equity deals came back w 28% IRR. On the negative side, one debt only got 50% principal back after foreclosure due to bad sponsor who basically took the money but did not do any renovation (with projected ARV of 70% which appears safe on the beginning) while collecting rents for two years! My over-all return may be in the range of 10%+/-. 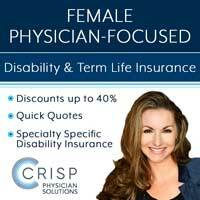 Dose any one in WCI network is looking into the Life Insurance Settlement Funds that some claim with IRR of 15 or more? I looked into it and seriously considered adding it to my portfolio (perhaps 5%) but it didn’t pass the spouse test, i.e. Katie wasn’t comfortable with it. That’s fine, you don’t have to invest in everything to be successful. But I liked the promising returns and low correlation with the rest of my portfolio. Invested on the Realtyshares platform on 21 deals. Mixed results. Ten deals paid out with return of principal and interest. Yet, some of the repayment was delayed 3-6 months with extensions when deal maturity dates passed. Of the remaining 11 deals, I have one in which there has not been a repayment of principal for over 1 year following sale of a home at a loss and a lawsuit has been filed in California by Realtyshares as the individual had a personal guarantee on the loan which he received from Realtyshares. Another two deals have also not paid out in Connecticut and Massachusetts: initially the interest payments stopped, then the maturation deadline for return of principal did not post and ultimately Realtyshares investigated and the individuals were found to have committed a fraudulent scheme. An investigation and pending lawsuit proceedings have begun. So far, approximately 10 percent return on investment as long as there is a return of principal on the three deals which have faultered; otherwise, I will only have broken even. Looking at Vanguard REITS for future investment purposes. That settles it for me (though I had already made up my mind). I am done with Realty Shares. I have two equity positions that will (hopefully) cash out in the next couple years. Thanks for sharing your experience. Please do update us when the lawsuits finalize. I’ve heard a lot of talk about investing costs in private RE funds and syndications. ie. 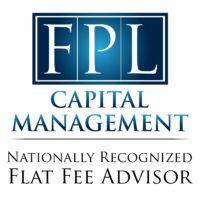 Aquisition fees, Asset management fees, property management fees, dispositions fees and upside payments (80/20) to the sponsors. I have found it difficult to compare costs in these syndications/ private funds /RECF placements with a typical public REIT. I assume that ownership in a public REIT still has some of these costs buried in them somewhere? Yes, I think that’s fair to assume. I’m starting to wonder how i can find seed money to dabble with buying my first property to flip for a profit. Do you know of any online sources I can go to for seed grant money to get started in real estate? I get my investing money by going to work, earning money, and then not spending it. You could try that. Your #1 RS is winding down with no more new projects offered from now on. All of us who invested into projects in RS should pray that all existing projects will exit normally. Thanks. 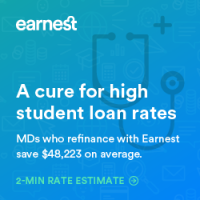 Perhaps things have changed with PeerStreet in that they may be less selective in their loan or borrower selection. Of the 9 properties I am invested in 2 are 30 days late in making an interest payment & 2 60 days late. 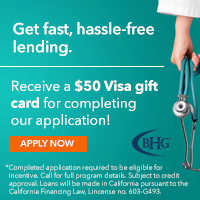 Provided information as to their status is completely generic – “December 04, 2018 The originating lender has reached out to the borrower and the borrower has been unresponsive. A demand letter will be sent to the borrower if the loan is not reinstated. November 01, 2018 The originating lender is contacting the borrower regarding the late payment. October 01, 2018 The originating lender is contacting the borrower regarding the late payment.” I have utilized what I thought to be good criteria in loan selection – Criteria – credit score > 650, LTV (capital stack) < 65%, Lender – NO defaulted or REO loans, Loan duration – 12 months or less, & Interest rate 8-9%. Also no one property has more than $2,000 in it to spread out the risk. It is too early to know whether any property will go into default or be foreclosed upon, but some may be thinking of utilizing PeerStreet to generate a nice monthly income stream which for me does not seem to be the case. Also, we encounter enough deadbeats in our practice or home lives, so why go seek them out? My name is Deanna Woodall I am with BuildingBITs, a commercial real estate investment platform. I have read your article here: https://www.whitecoatinvestor.com/recommended-real-estate-crowdfunding-companies/ and I would like to ask for you to add us. We also want to invite you to the affiliate program which we track your traffic and pay per visitor. Does this sound like something you would be interested in? Feel free to send us an email with more information.